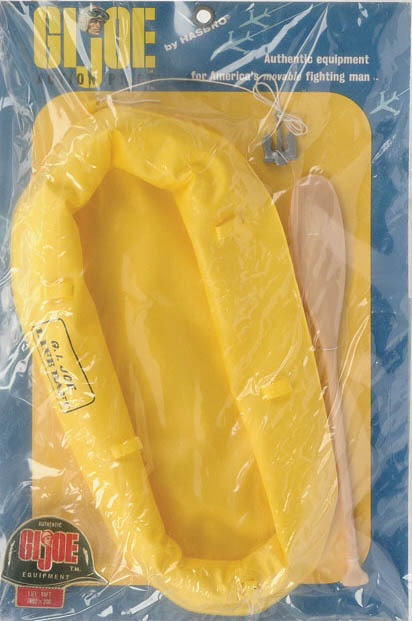 The Scramble Pilot is ready for an emergency water landing with the Survival set (7801) that includes his raft, first aid kit, flare gun and knife. 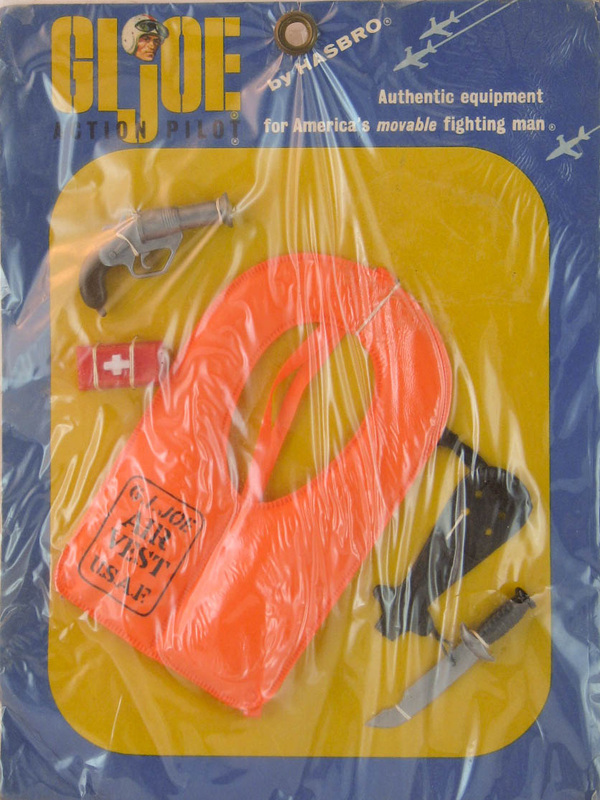 Like many sets from Joe's early years, the Action Pilot Survival is a collection of accessories most of which were also issued in other sets. 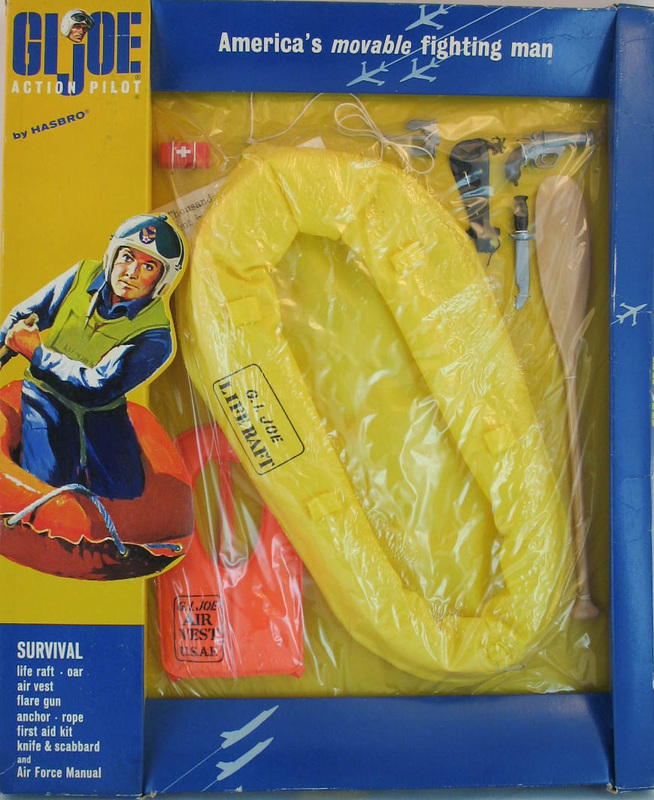 Most of these items could be found on various Sailor and Pilot small cards, and the Sailor's Sea Rescue set was almost identical, only featuring a different life vest. Life Raft card (7802) image courtesy Vectis Auctions Ltd. The Scramble Life vest card (7809) can be categorized with the survival set too, as it fills out the larger window box.